Running in Cyprus. Best routes and places to run in Cyprus. 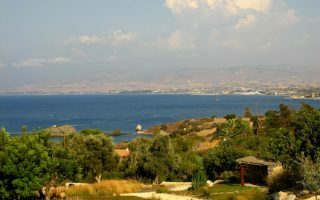 Cyprus is the third largest island in the Mediterranean, south of Turkey and Greece, and northwest of Lebanon, Israel, and Egypt. It is an increasingly popular area for visitors, owing to its gorgeous beaches, inland mountain trails, archeological sites, and reliably sunny climate. Cyprus is 250 km long and 100 km wide, and is ringed by coast and features two interior mountain ranges. Running on Cyprus is becoming increasingly popular, due to the scenery, variety of terrain, and miles of runnable beach. The best places to run in Cyprus feature the island’s coastal regions. 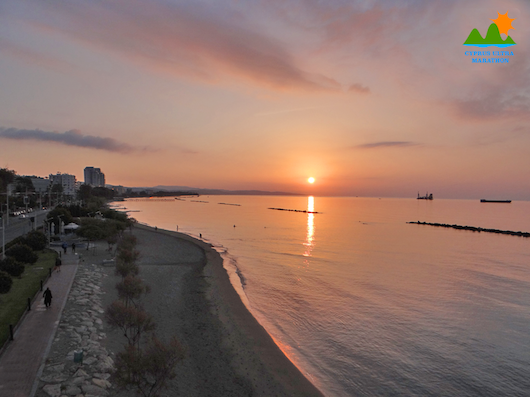 There are two waterfront paths and great beaches for running in Limassol, the island’s second largest city. There’s another great waterfront path in Paphos, on the west side of Cyprus. 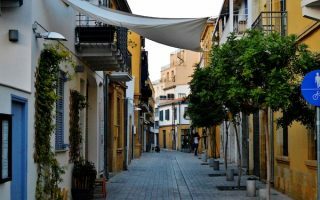 In the capital of Nicosia, your best bet is to get up early and run the alleys of the old Walled City. For a unique run, head to Lanarka Salt Lake, which has excellent paths for running. Trail running opportunities abound in Cyprus. Not too challenging are the trails in Athalassa National Forest Park, and some options in Akamas Peninsula National Park. For a challenge, take on Vasa Kellakiou, which is part of the Cyprus Ultra. A couple of notes about running in Cyprus. Fist, the Green Line/border separates Cyprus from Turkish occupied North Cyprus, and although one can travel between the two, there are tensions and there can be hassles. Also, summers are very hot — be cautious and hydrate. And driving is on the left hand side, so remember to look right when crossing. Finally, our special thanks to Michael Rivers, Limassol running coach and local running guide, for his help with the Limassol area routes. A 'Runseeing' tour of Cyprus' capital. The most interesting part is the 'walled city', or old town, where you can create your own route through the maze of narrow streets & alleys. The newer part of Cyprus has some nice streets and pleasant parks for running. This 840 hectare (2,000 acre) park is an oasis of greenery located just southeast of Nicosia. There are 20 km of trails, winding through trees and shrubs, including a 16 km bike trail. Mainly gravel surface. 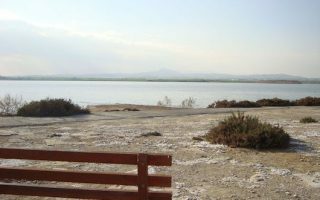 An 8 km out and back along the 'Salt Lake Hiking Trail', a very runnable path along this series of interconnected salt lakes. Different feel depending on the season. Popular birdwatching location - in winter, pink flamingos abound! Wonderful running in this area on the southern coast of Cyprus. 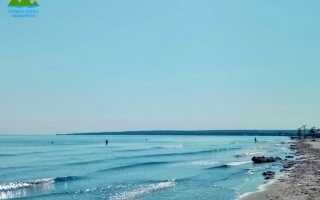 Waterfront promenades, great running beaches, hillside trails. a track, and archaeological sites. 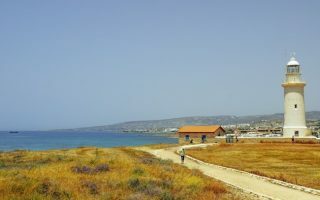 One of the most beautiful runs in Cyprus is the coastal path between La Isla and the San Raphael resort, with an optional jaunt up a hill to the ancient ruins of Amathus. This run can also be done on the beach, which has excellent firm sand. Beach path starts from just north of Dasoudi Beach and goes for 6 km to the Old Port. Includes a section through the Dasoudi Forest. The beach here is also very runnable. Combine with La Isla-St. Raphael route for a long run! A bit off the beaten track but much less visited. 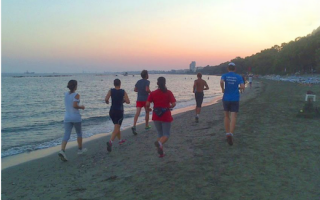 One can have a quiet beach running experience here, featuring great views of the water and Limassol. The western 2.5 km feature firm sand, and the eastern end of the beach is more pebbly. 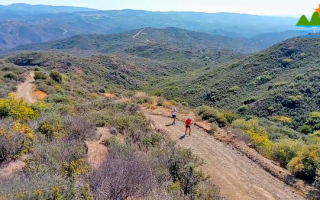 A challenging trail run, but rewarding for its great views of majestic mountains as far as Troodos and the beautiful blue Limassol sea on clear days. 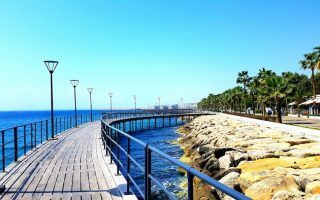 A wonderful coastal boardwalk path along the Mediterranean on the western side of Cyprus, in Paphos. Great views of the water, and Faros beach along most of the way. Also some key sights. It's 7.2 km out and back. Large national park on the western side of the island known for its valleys, gorges, wide sandy bays, and wildlife diversity. The Aphrodite and Smigies Trail make for good trail runs. Numerous roads through the park are also traffic free and runnable. Cyprus has mild winters and hot summers. In summer, high temperatures across much of the island average 34C (94F), and can climb much higher. Nights cool of some, to 22C. In winter, average highs are in the 17-18C range (mid-60s), with nights that can dip into the 5C range (mid-40sF). 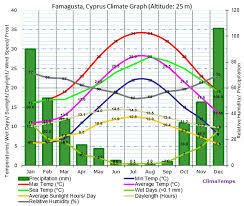 Nearly all Cyprus precipitation falls from November to May. Rain in the summer months is rare. Runners should take into account Cyprus’ heat, open terrain, and strong sun in the summer months. Avoid mid-day, be equipped, and use caution. There are clusters of hotels in the highly visited parts of Cyprus, such as in the capital of Nicosia, and coastal cities such as Limassol and Paphos. Limassol is especially good for running. There’s a good selection of lodging of various types. There are numerous stores where you can buy running gear on Cyprus, most of which in the Nicosia area. Sports Direct has two locations. There are also Prive sports stores and outlets for Adidas and Nike. 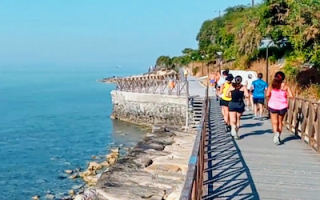 Your best bet for a group run on Cyprus, particularly in the Limassol area, is to connect with Limassol Running Tours, which is led by Michael Rivers. He does group runs for trail running on Sunday morning, as well as custom running tours. Running in Cyprus leads running tours Tuesday and Thursday evening at 7 p.m.
Running is increasingly popular on Cyprus, among both locals and visitors. There is an active calendar of races and running events throughout the year. Run Calendar.